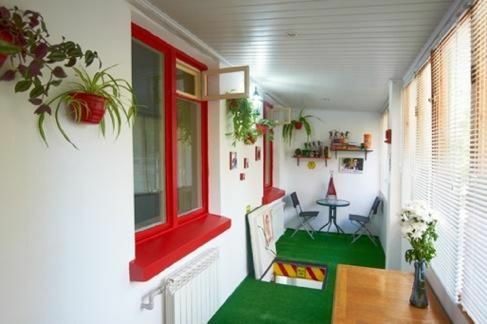 Retro Moldova Hostel is an experienced hostel opened to provide a comfortable and safe stay for travelers in Chisinau. The Hostel is ideally located in the city center of Chisinau. It is a 4-minute walk from the major attractions such as the Cathedral and the Central Park. It is a small and cozy Hostel composed of 2 dorm rooms, 1 private room and two common areas. We also offer free coffee and tea all day long, as well as free breakfast! There is a well-equipped kitchen at guests' disposal. 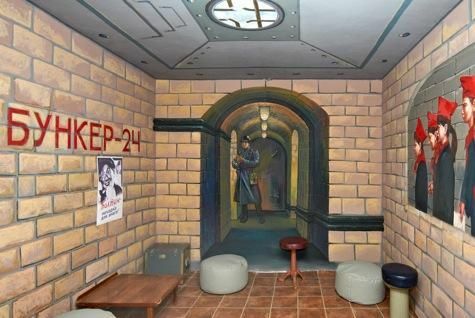 We also provide drinks, snacks and traditional dinners for those who want to relax on our comfy balcony in the evening or in the underground Bunker that gives you an image of 'good-old' Soviet times and cool you in hot summer nights. You can enjoy 24-hour hot showers that you might have problems finding in other places. We also offer tours to Orheiul Vechi and Transnistria/Tiraspol, and are happy to provide all necessary information that you need to travel to neighboring countries. All main bars, clubs, and grocery shops are all located within very short-walking distance from the Hostel. Friendly, English-speaking staff is ready to assist you 24 hours. RETRO Moldova Hostel is owned and managed by travelers who together designed it to provide you with a safe and cozy stay! Please note: Check-in: 13:00 Check-out: 11:00 Please use the directions on the website to find us. We are located in a quiet residential area of the city center that some may have troubles exploring without the directions we have provided for your comfort. Once you're near, look for the little red signs 'RETRO Moldova' that will help you find us. From Airport: Take A Express Bus (3 lei) to Stefan cel Mare si Sfant Bvd. intersection with Puskin str. (Central McDonalds bus stop). Walk on Puskin str (street). towards Cosmonautilor str. for 5-7 mins (minutes) (in the direction of Sun City mall). On Cosmonautilor str. turn right and walk one block. Once you pass the blue Carwash located on your right, turn left. The Hostel is located in the second building on your left, middle entrance, first floor, number 24. From BUS stations: When you arrive from Romania or Ukraine there are three main bus stations in Chisinau where you can be dropped: Central, South, and North. You can reach us by foot if you are dropped at CENTRAL bus station by walking towards Puskin str. and following the directions from above. But you have to take a taxi if you come from the other two stations since they are much further away from the center (40-50 lei or 3 euros). From TRAIN station: Take minibus 160, 122, or 103 to the intersection of Alexandru cel Bun str. and Puskin str. (in the direction of BUIUCANI). Walk one street to your right on Puskin str. towards Cosmonautilor str. Follow directions above. By Taxi: If you take the taxi from the airport (13 km) make sure you use the services of the taxi stand within the airport. It will take 20-30 minutes to get to the Hostel and it will cost you between 80-220 lei depending on the time of the day.